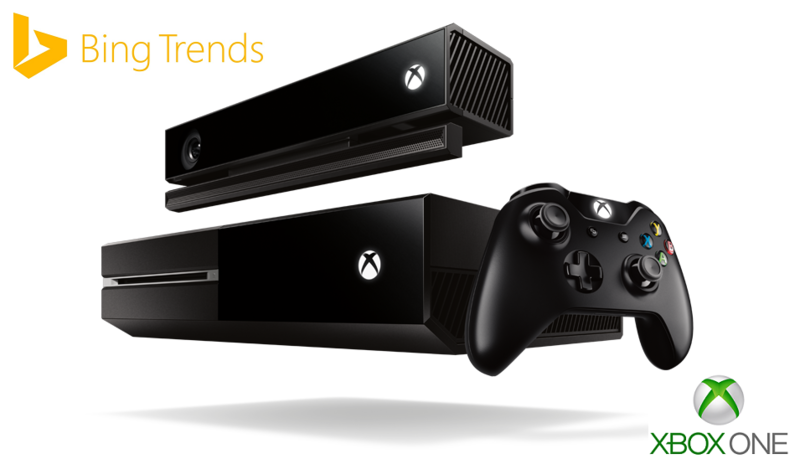 With the Thanksgiving season down the tube and the start of this year’s last month, it is time for the “best of” lists for 2014, and to start it off for the latest video game consoles, Microsoft’s search engine Bing just published its most-searched terms for 2014, and while the other sections are a usual rundown of top celebrities, TV shows, movies, and so forth, the popular devices section lists the Xbox One console second after Apple’s new iPhone 6. Quite surprising, and ironically, this generation’s leading video game console, the PlayStation 4, isn’t even on the top 10 list. The month of the “best of” lists for the ongoing year has just started and Bing, a web search engine from Microsoft, has already come up with its list of the most popular search terms of the year 2014. Beside all the other sections such as top movies and hottest apps, there is a category for the most popular tech devices that embraces the latest Xbox One video game console as the second most-searched gadget of this year, led by Apple’s latest iPhone 6. Other Microsoft products such as Surface Pro 3 took the fifth position and the Windows Phone took seventh. Quite surprisingly as well as amusingly, Sony’s latest PlayStation 4 console is nowhere to be found on the top 10 list, even when it has been the best-selling and the leading console of the eighth generation of video games. The other most searched gadgets include iPad, Chromecast and Google Glass. You can check out the entire list of Bing’s top 10 most popular devices right below. On the video games’ front, Destiny led the top 10 list and is followed by Lone Survivor. There are a couple of Microsoft exclusive titles, namely, Halo: The Master Chief Collection and Titanfall, in the third and the fifth place on the list respectively. While there is no PlayStation 4 exclusive title on the list, Rockstar’s Grand Theft Auto V is still the most-searched game almost 14 months after its original release. You can check out all the Bing’s top 10 lists for several forms of media and other categories over here. Have anything to say on the topic? Express your thoughts in the comments section below.